Bass fishing in rivers around Jacksonville Fl. 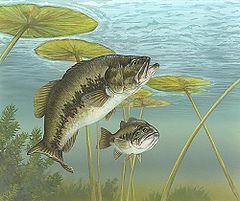 I just wanted to know what rivers can you catch bass in using artificial lures in Jacksonville Florida. As you probably know the Sunshine State is counted as the Bass fishing Capital of the world. Tournament Frog – Excellent for casting in and around lily pads, reeds, matted grass and fall downs. Spinner Bait – A spinner bait is one of the most versatile Bass baits. Once again thanks for the question Brian. P.S. If you get out on the water and catch some bass please come back and leave a couple of pictures of your catch and the lures you had success with.